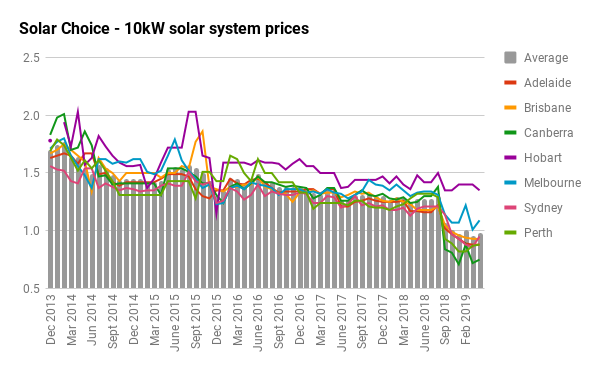 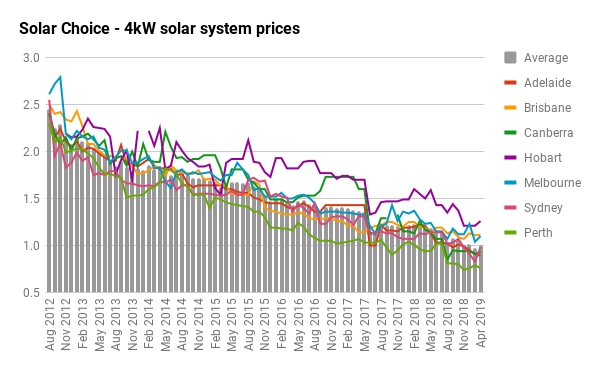 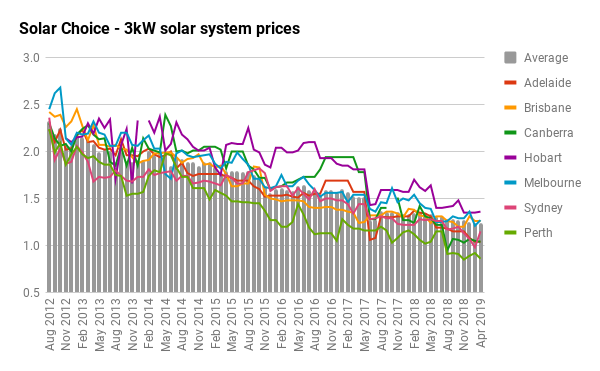 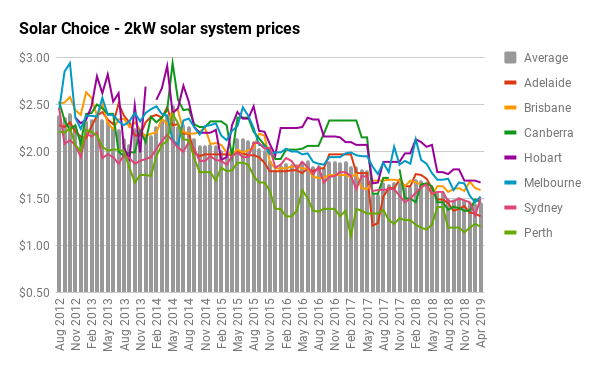 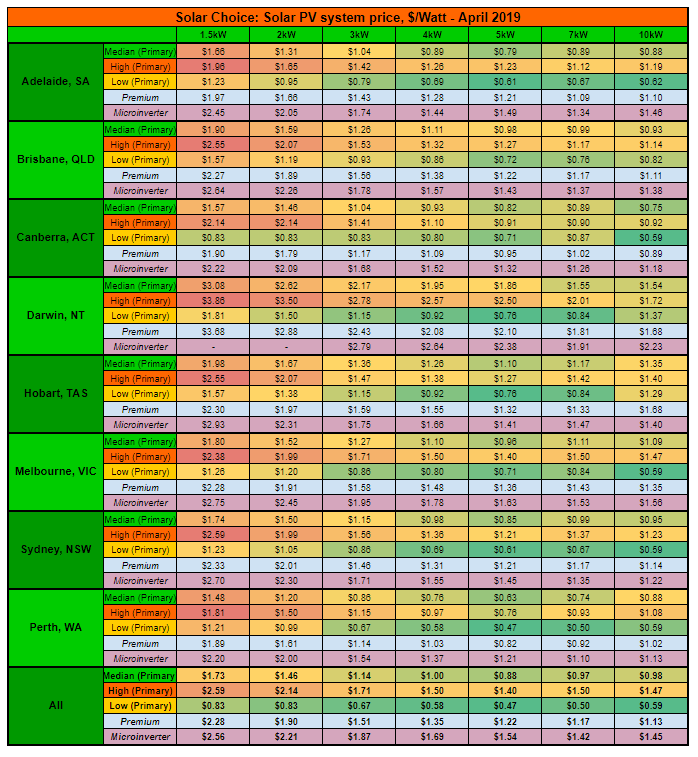 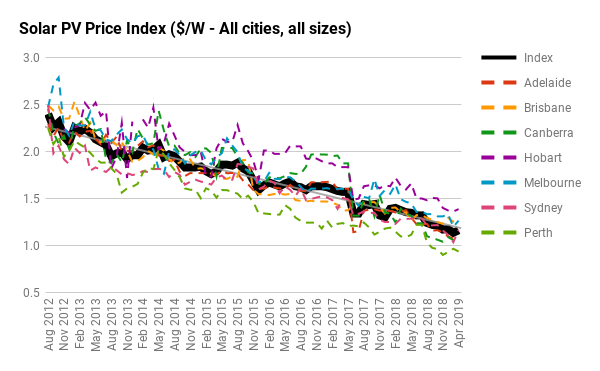 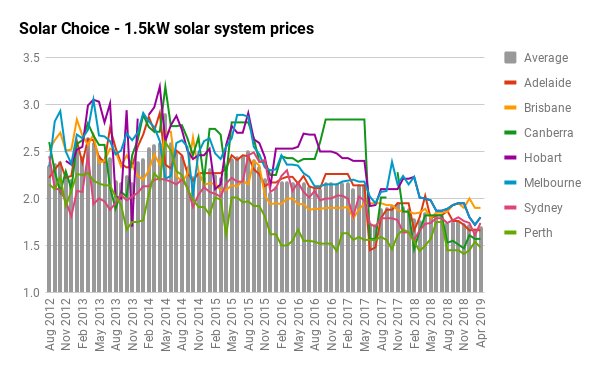 Average residential solar system prices have decreased to $1.16 per watt ($/W) this month on the back of several factors, including changes to the composition of the Solar Choice installer network and updated pricing from installers that we work with. 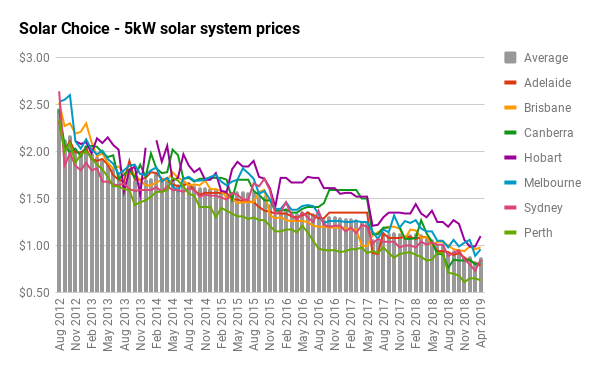 Meanwhile, average prices for popular 5kW systems have reached their lowest ever, at $0.88/W, or about $4,400 out-of-pocket. 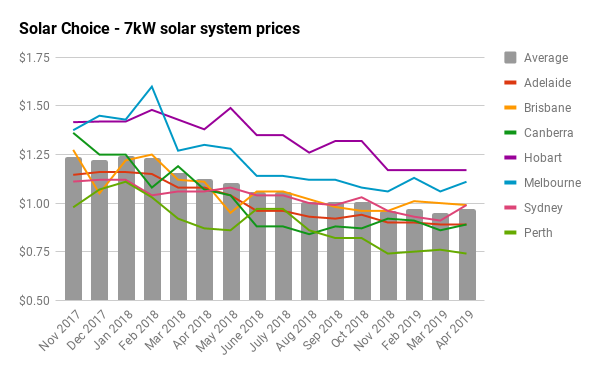 ‘Premium’ and ‘microinverter‘ options for the same size system are coming in at about $6,100 and $7,770, respectively.